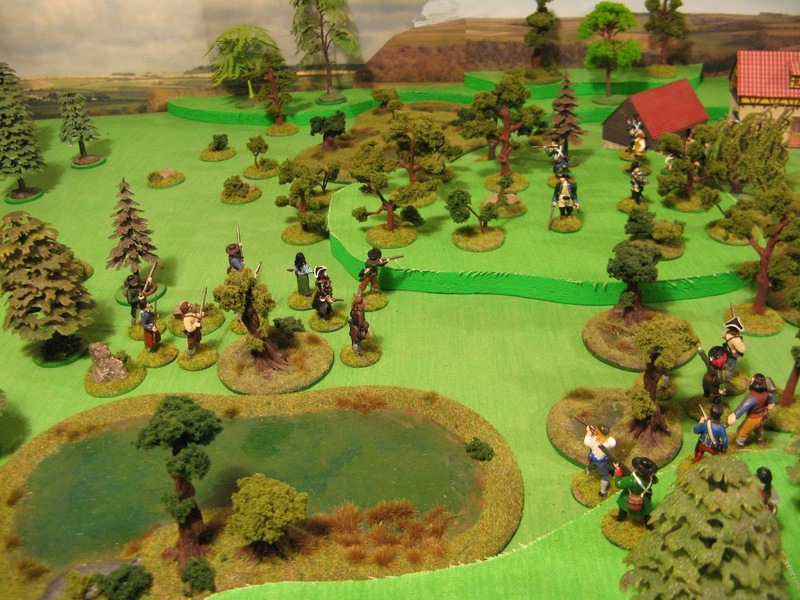 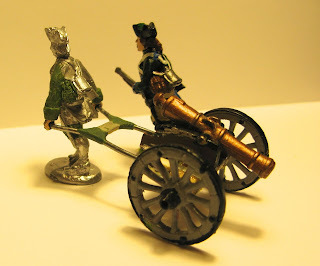 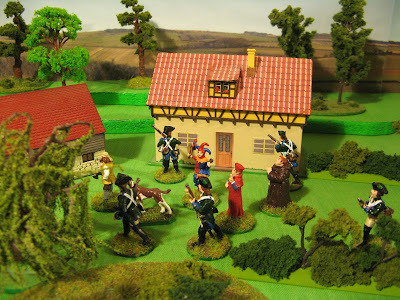 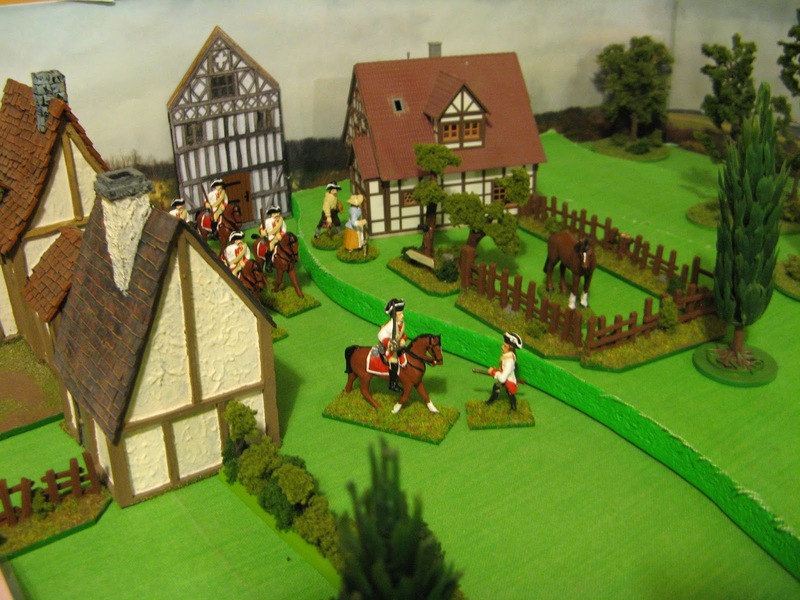 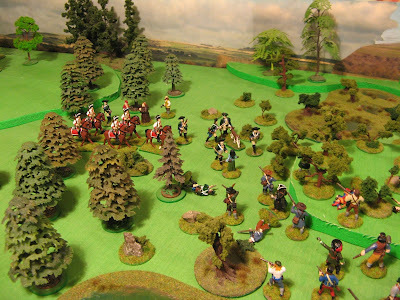 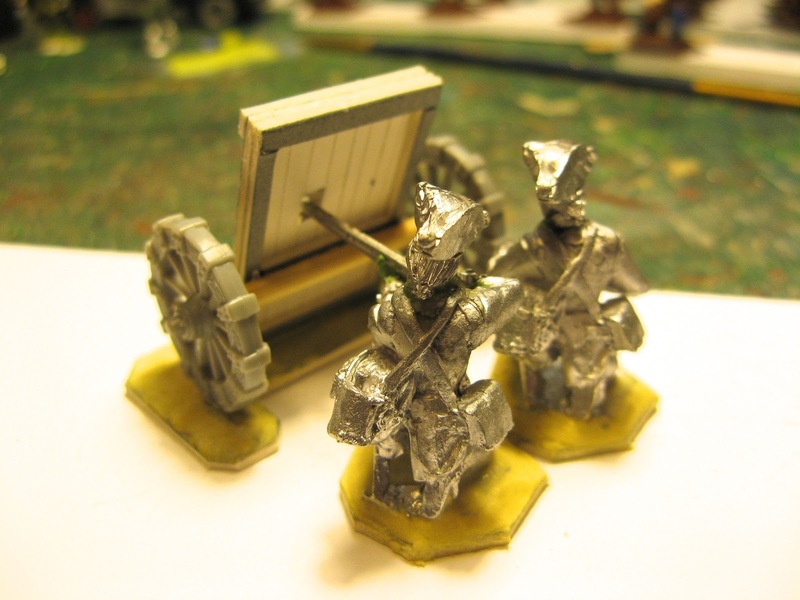 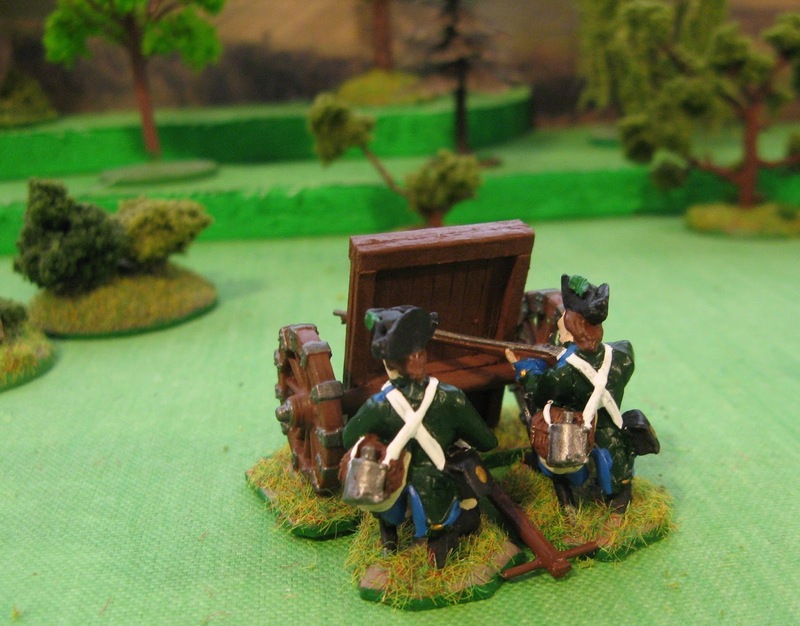 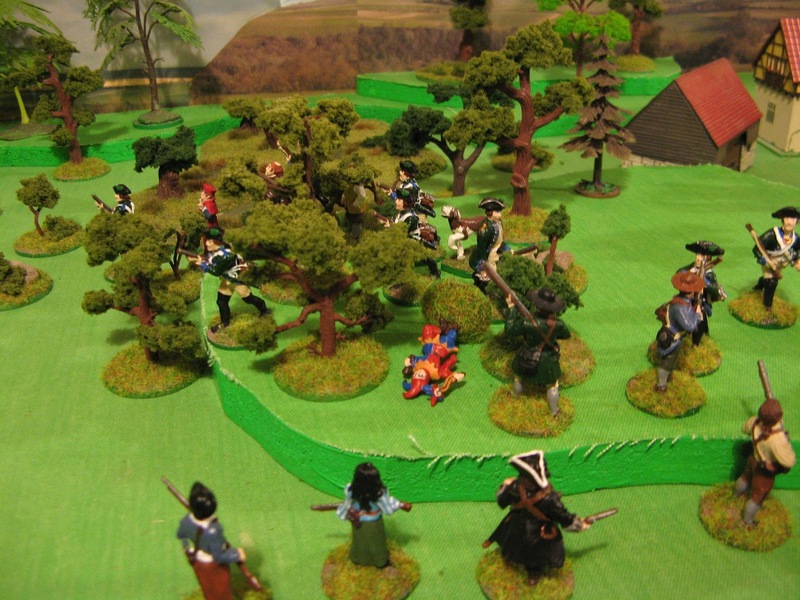 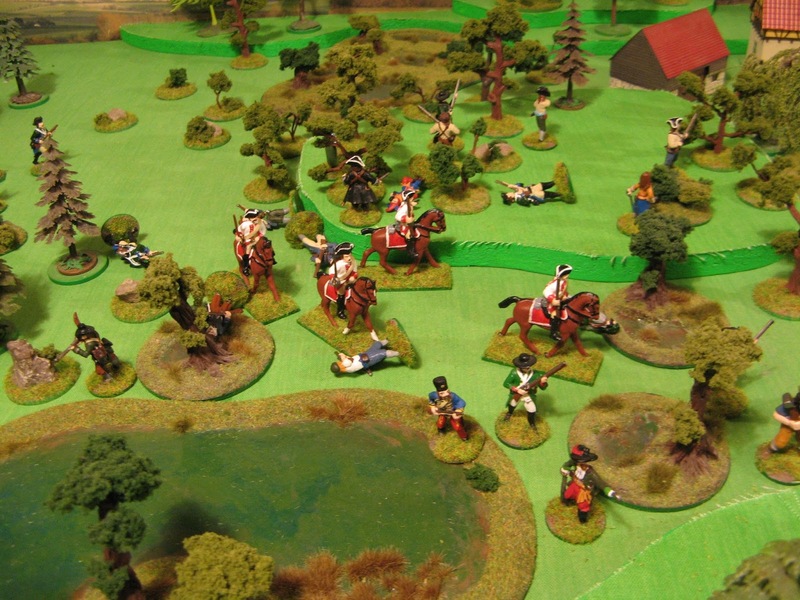 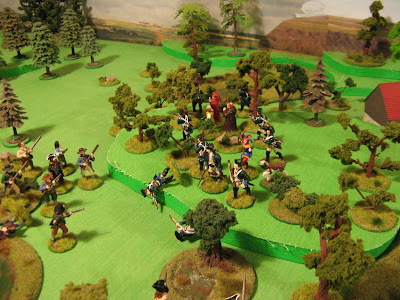 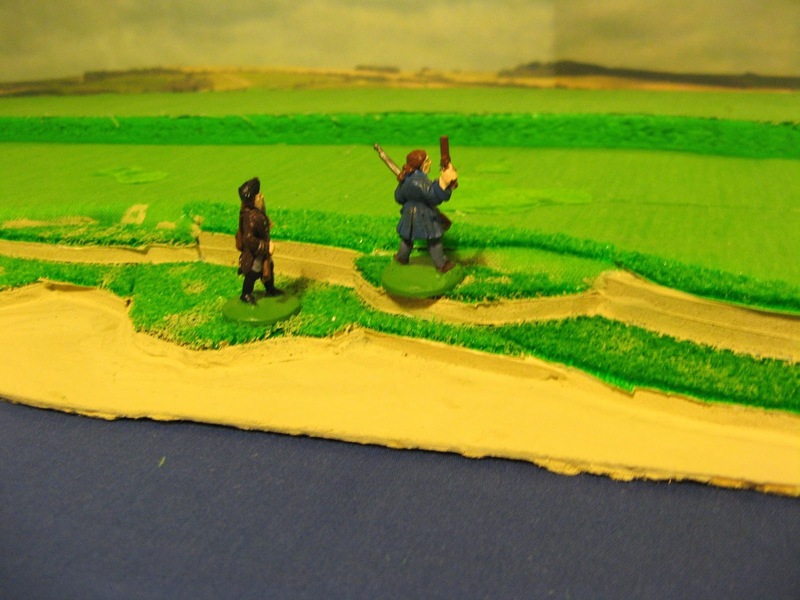 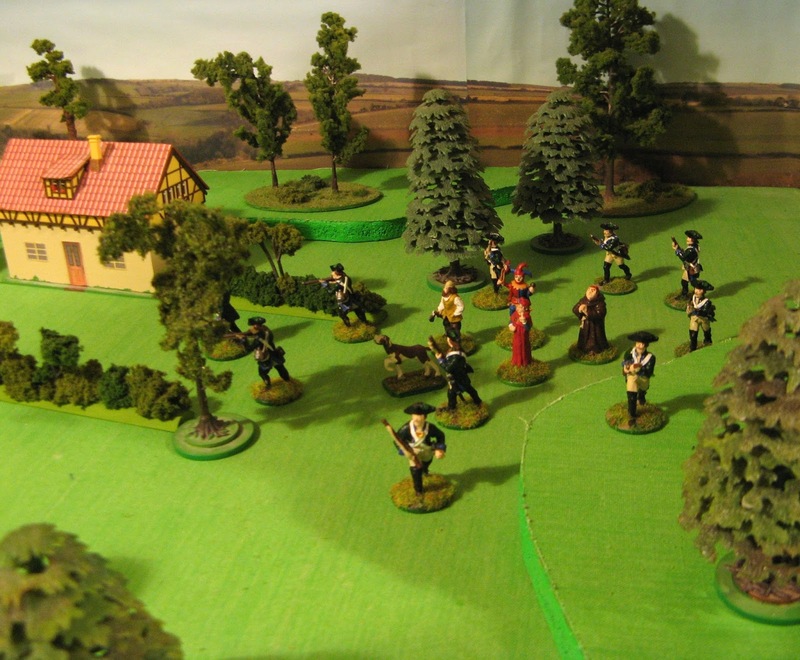 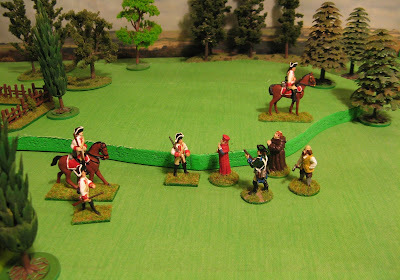 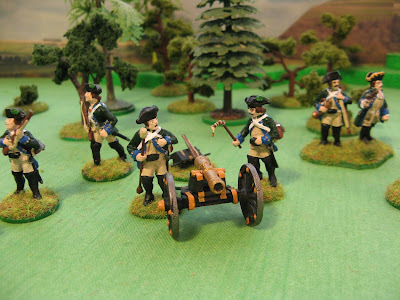 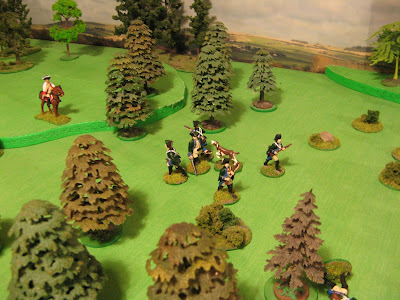 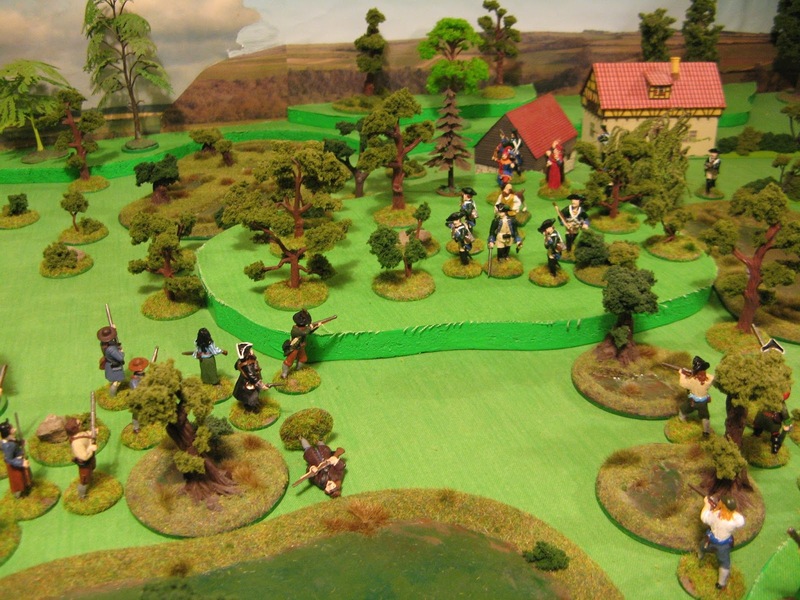 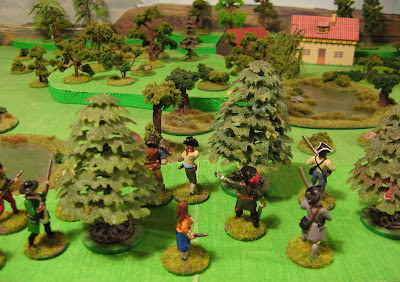 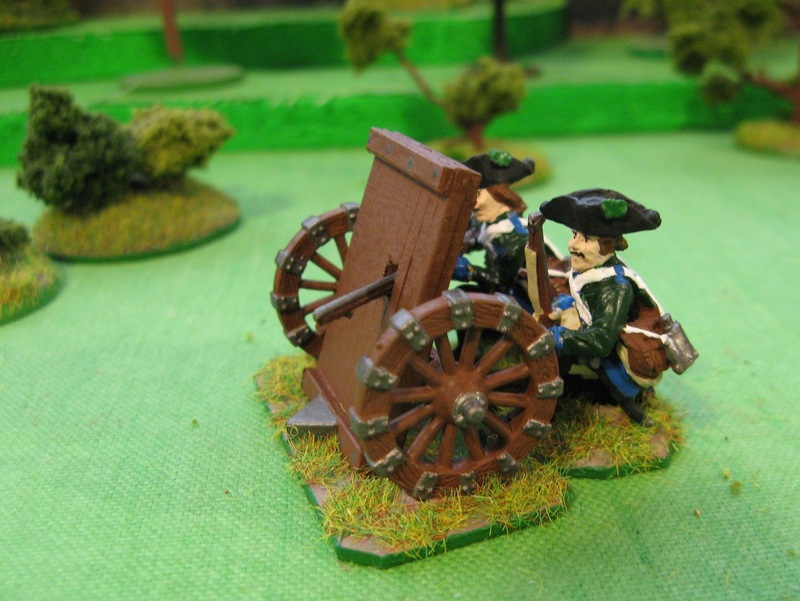 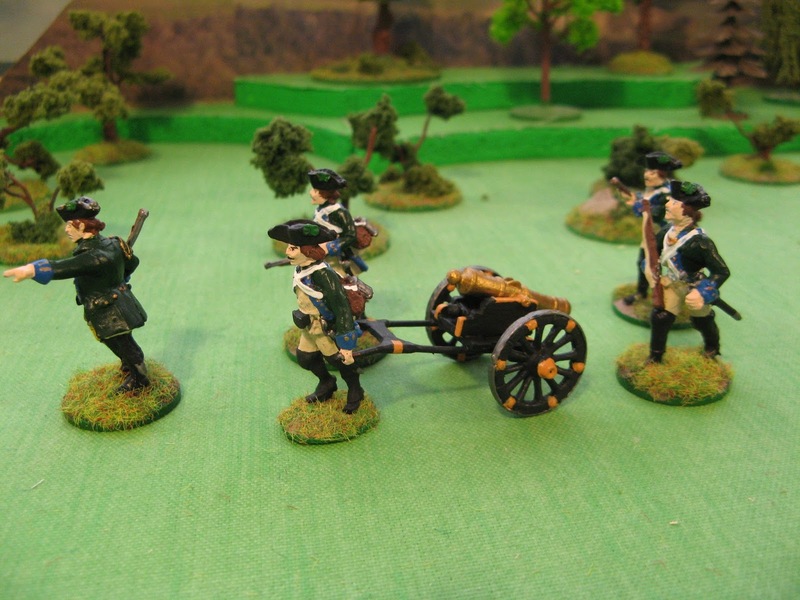 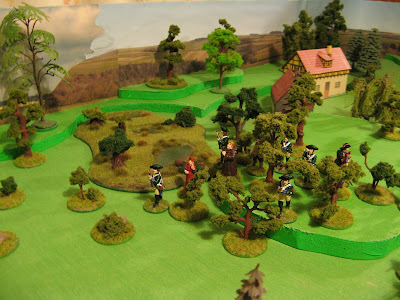 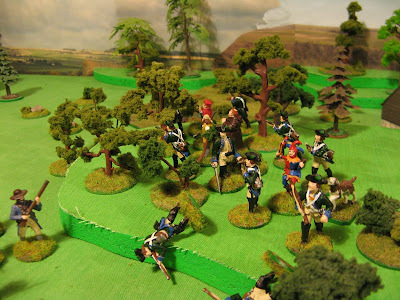 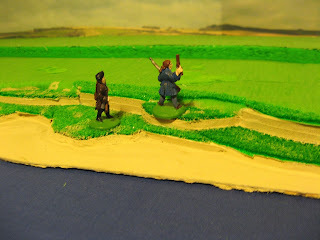 The amusette was the easiest to do, so the figures have been done by converting the kneeling poses from the S&S AWI jagers pack- and a spare large musket from a 60mm figure which was suitable. 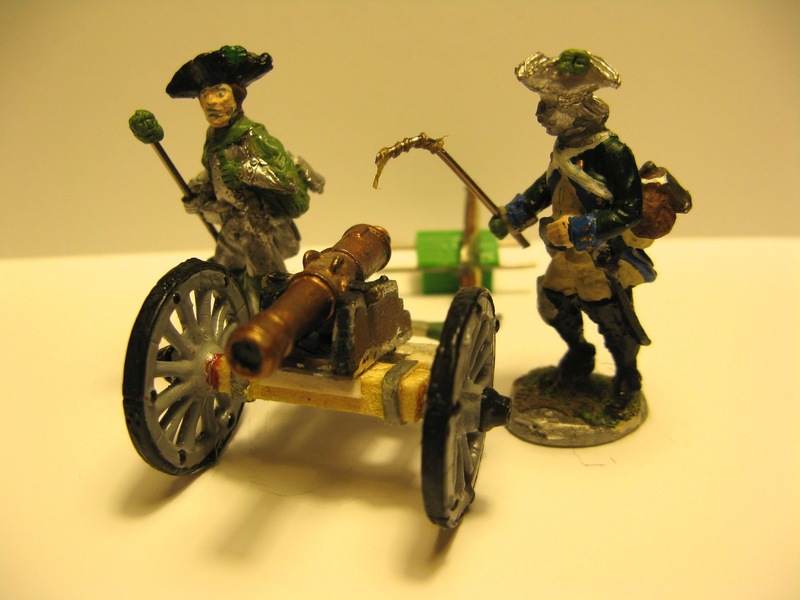 I made up a light gun, with parts from the spares bits box and some wire. 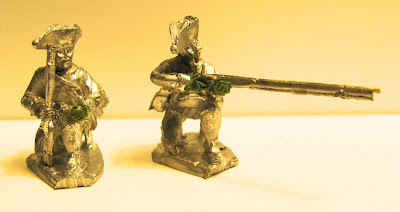 I converted two figures for crew when deployed and a chap to pull the gun along with his hands drilled out so the gun can be slotted in and removed. 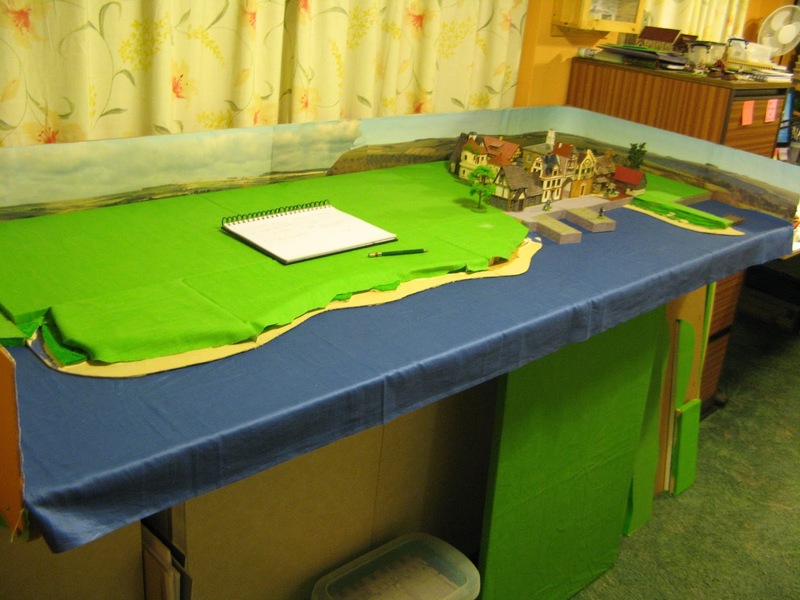 I've have just finished doing some major work on my table riser sections to make them more useable; plus making some harbour quay sections. 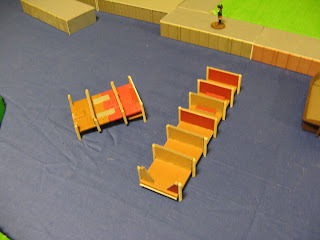 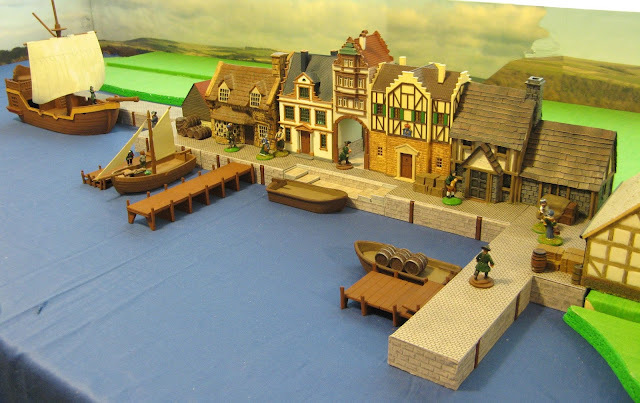 I made a set of 1 inch thick risers with coastal sections a few years ago when I was building my pirate collection - these however didn't have standard sizes that matched the hill sections I made later [ bad planning there :) ]. 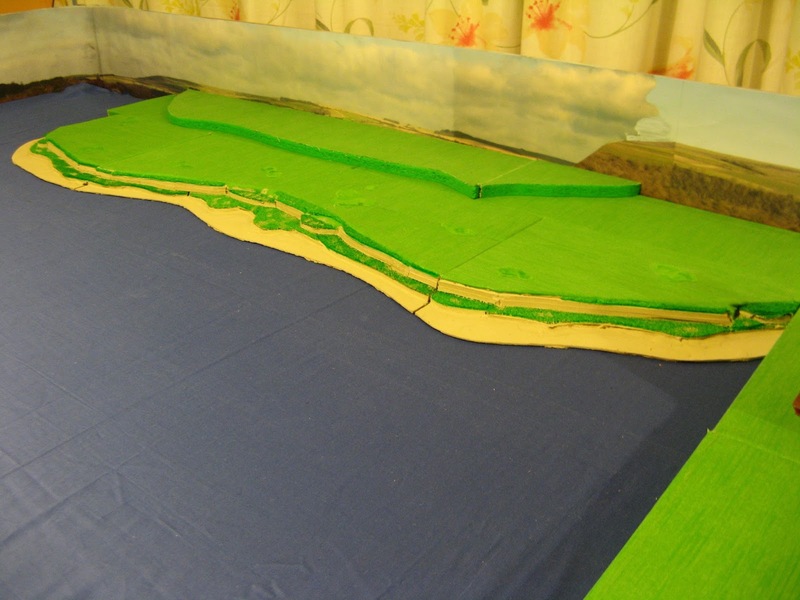 So a lot of cutting, sawing, gluing has been done to reduce sections to compatible widths and depths (in multiples of 6inches); additionally I cut the coastal beach sections off so they were separate. 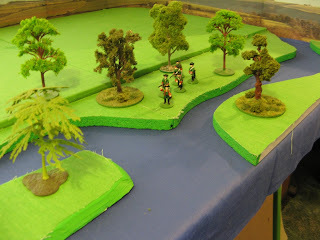 Where did we leave the picnic basket ? I acquired a load of PlayMobil castle sections off Ebay last year, having put aside the parts I wanted I was left with loads of spare joiner sections which looked useful so I put them in a box for use later. 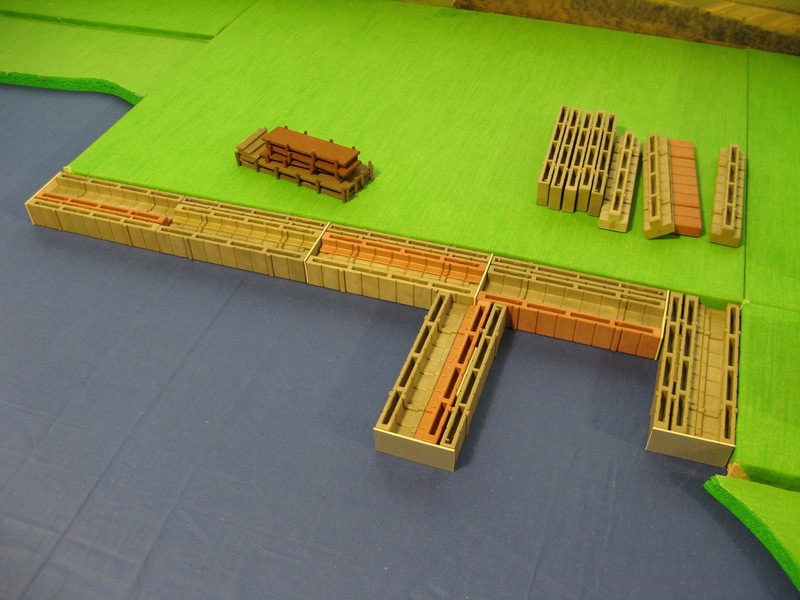 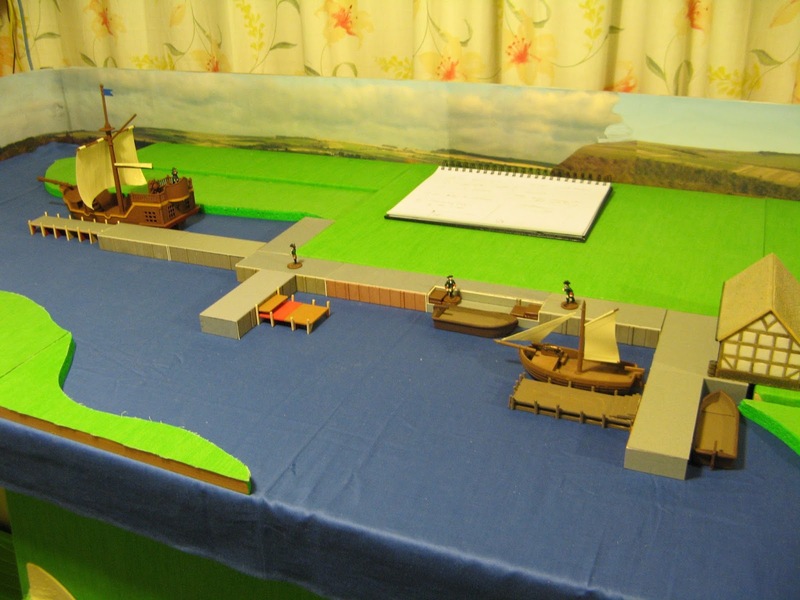 Once I finished the riser sections I decided to use them to make some harbour quay sections. After a bit of fiddling I found a combination of that made a up the basis of a quay section.